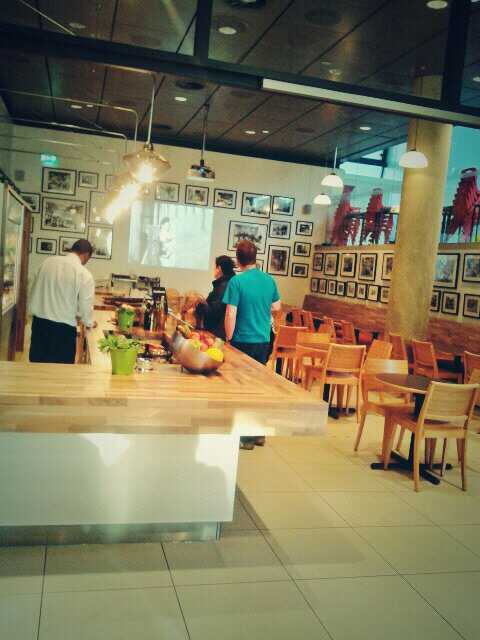 I was recently lucky enough to be invited to a blogger’s evening event at The National Media Museum in Bradford. A group of 15-25 of us were treated to an exclusive after hours look around the two exhibitions that the museum is currently hosting and were given a literal taste of what the new dining area has to offer. The food was exceptional and I was thoroughly impressed with the variety of dishes on offer to us. 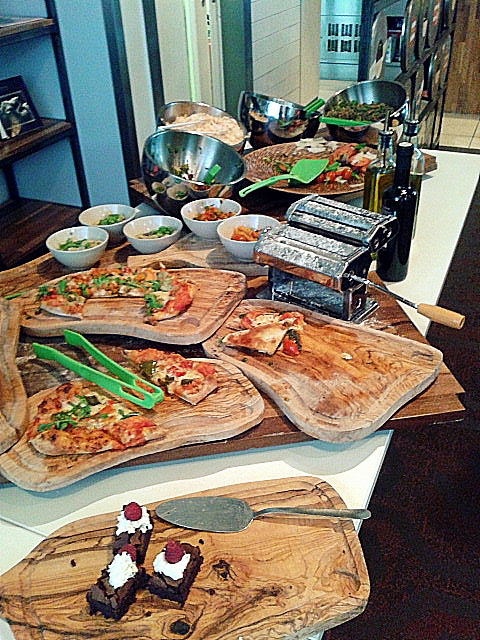 Lentil dishes, salads, pizzas, pastas and delicious chocolate brownies were all amongst the many culinary delights we were exposed to. With a glass of crisp white wine and some delightful conversation under way, we were all eager to witness the exhibitions and take part in the tours around both galleries. I had had the pleasure of briefly exploring both exhibitions during my recent visit to the museum as part of Bradford International Film Festival, however, this was an entirely different experience thanks to both highly interesting and stimulating tours. 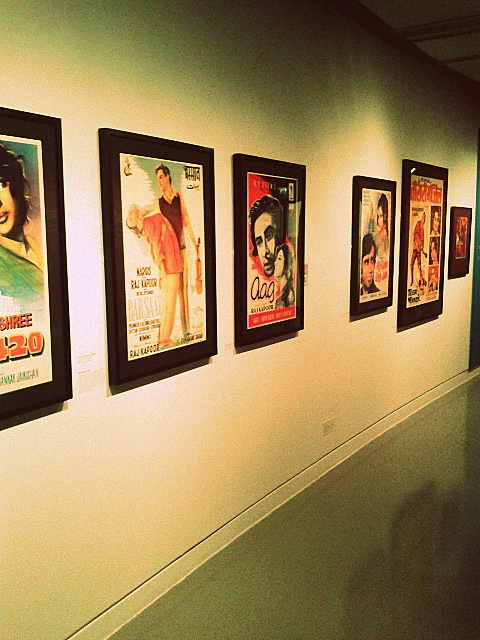 Bollywood Icons: 100 Years of Indian Cinema, the first exhibition, displays a vast selection of both contemporary and vintage film posters that beautifully document the rise, success and transformation of Bollywood cinema. ‘Bollywood’ is in fact a Western term for India’s most successful type of cinema. India have adopted the title but still tends to refer to these movies as ‘Hindi’ films, their traditional name. Often referred to as ‘Masala films’ as well, Bollywood cinema is rich in its themes, textures and tastes, just like the dried spice. Irna Qureshi, Bollywood expert, historian and film lover, provided an in-depth and highly fascinating tour and talk that uncovered some of the most amusing, intriguing and controversial facts about Bollywood cinema. Her enthusiasm was infectious and her personal adoration of Bollywood really added substance to the tour. The family enterprises that control and flourish within Indian cinema was dissected and explained throughout the tour and helped to highlight the reality and relationships of Bollywood cinema and its characters and protagonists. Bollywood’s importance to India was emphasised along with Bollywood’s importance to the Asian communities of Britain. By studying film posters that span over more than half a century, it was highlighted just how much Bollywood has adapted and changed, just like Hollywood or any other vast style of cinema. By telling us about the real lives of many actors and actresses that featured in the posters, Irna Qureshi really emphasised the power and the truth behind Bollywood cinema. 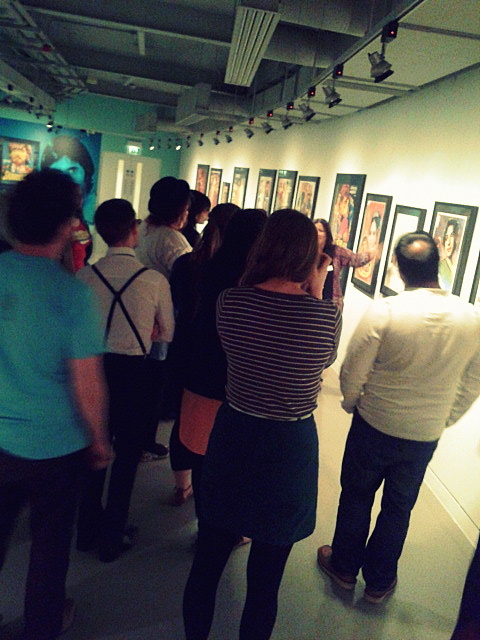 The second tour was of the current photography exhibition; Tom Wood: Photographs 1973-2013. The work of Northern photographer Tom Wood was on display in a large room that accommodated a vast amount of his photographs. Emily Philippou, the museum’s press office gave a passionate talk about Wood’s approaches to photography, his intentions, themes and methods. By allowing us the freedom to roam the exhibition individually, Emily ensured that we all dove into the work of Tom Wood and had the time to take our own thoughts and meanings from his work. Wood’s attention to detail fascinated me and I found myself focusing upon the minor elements of his photographs that you had to look twice for. 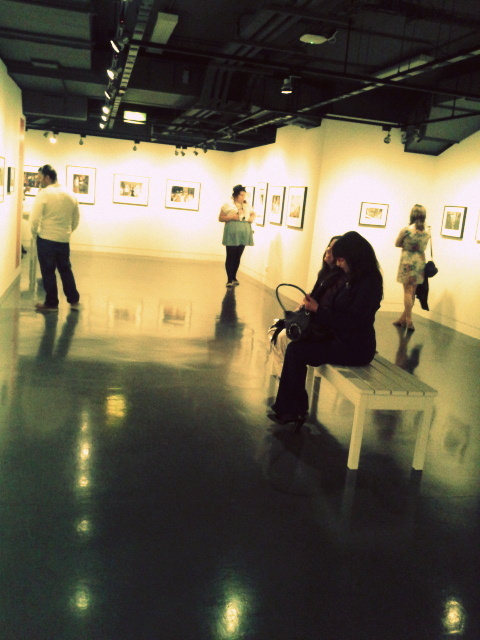 The evening was a huge success and it was a pleasure to experience both exhibitions in such a deep way. The newly revamped cafeteria area is yet more evidence that The National Media Museum is one of the most welcoming and hospitable museums in the country. With the space to accommodate hundreds, three cinemas, two galleries and several floors of culturally stimulating material and displays, The National Media Museum is – without a doubt – the gem of Bradford. Tags: Blogger Event, Bollywood, Bradford, Bradford Film Festival, Cinema, Culture, Exhibitions, film, Indian Cinema, Movies, Museum, Photography, The National Media Museum. Bookmark the permalink. Previous post ← To Kill a Mockingbird.